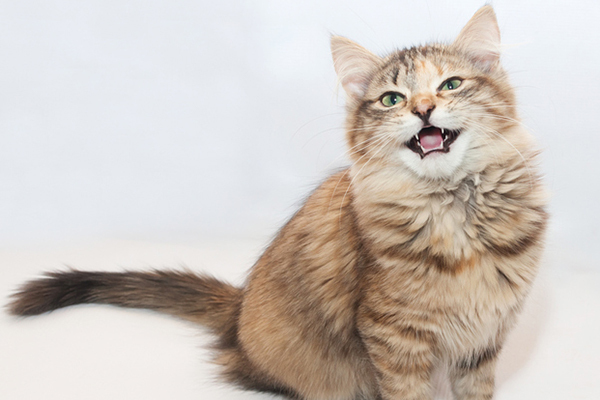 Next on The Scoop: Ask a Cat Lady: Are Laser Pointers Bad for Cats? Jeans or slacks? Boxers or briefs? Basic or designer? 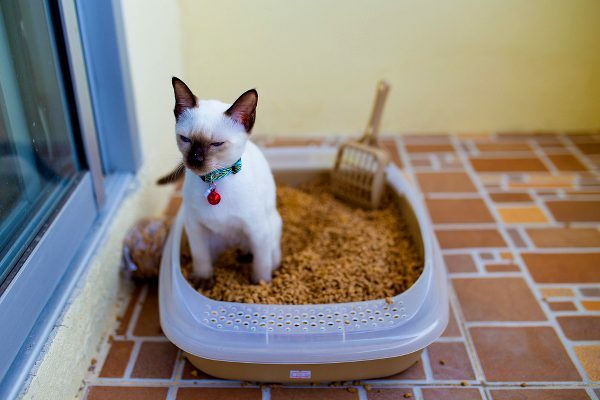 Like clothing, your litter box reveals a lot about you. 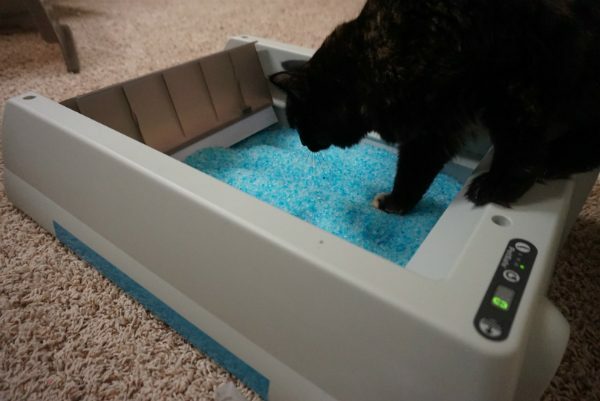 A litter box is many things: a place for Peppers to conduct her business, a mark of your personality, a indicator of how much you care, a doting friend, a loyal confidant. 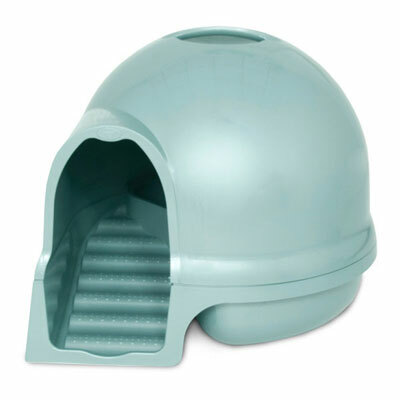 Which kind of litter box you buy says a lot about you, and the world we live in. You’re really jazzing up the laundry room, aren’t you? At least you went for a nice color like blue. What’s that? You didn’t get blue because they only had gray? Of course they did, because you bought a litter box from a grocery store. Don’t feel bad: You are practical. You see things how they really are. What, a cat needs a Kohler box covered in $100 bills? 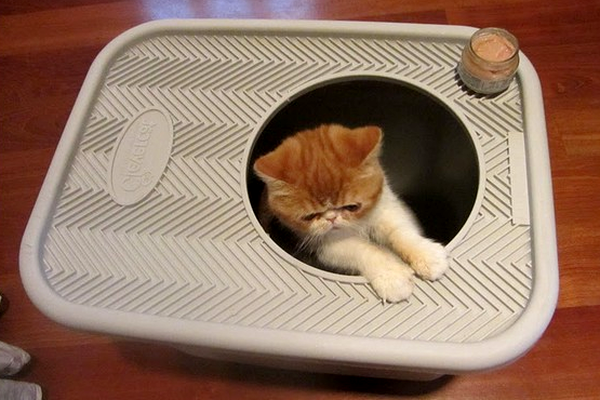 No, a cat just needs a four-sided container and 30 seconds, and “the rest is rust and stardust” (Nabokov). If he didn’t have you, he would be squatting over your garden. Or your shoes. You’re a good person. You are hyperobservant. 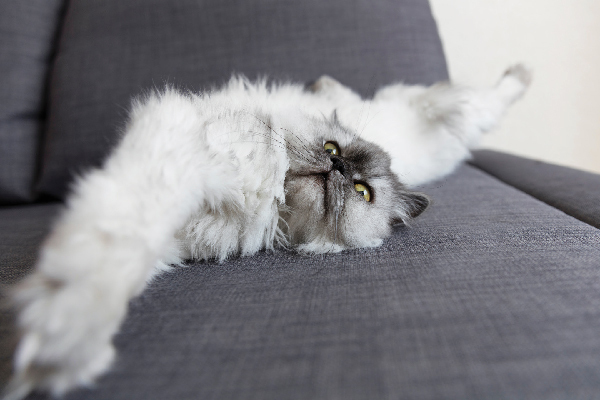 You know a cat can fling two cubic feet of litter onto the carpet while simply tidying the place up. And, although you are not chaste, you make a point to close the bathroom door behind you. 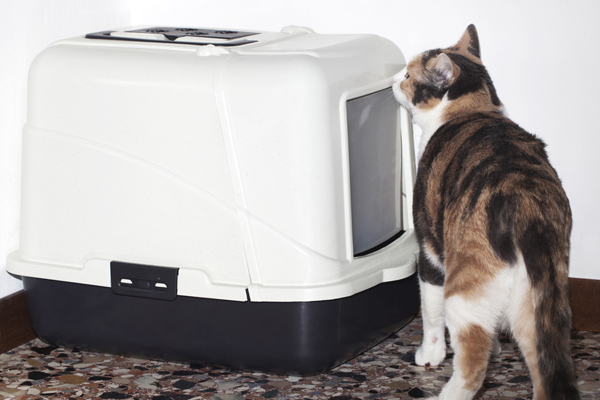 Why shouldn’t the cat, hunched over like a shivering Quasimodo, have the same privacy? Nobody should see any of you hunched over like a shivering Quasimodo. If you’ve opted for the fashion-forward round covered box, hey, you’ve got an eye for design, haven’t you, Dyson? Put that thing on the coffee table! You have a flair for the dramatic, you enjoy the color ice-pink, and you think nothing is more elegant than a lady descending a staircase, scraping litter from her feet as she goes. There’s nothing like watching your cat enter the toilet through the roof, rustle around for 40 seconds, then cautiously emerge like she’s creeping out of a manhole on a busy street after knocking off a nearby bank via the sewer system. You have a keen eye for the absurdities in life, a sense of play, and a laundry room with a sense of humor. Doors on roofs for everything! 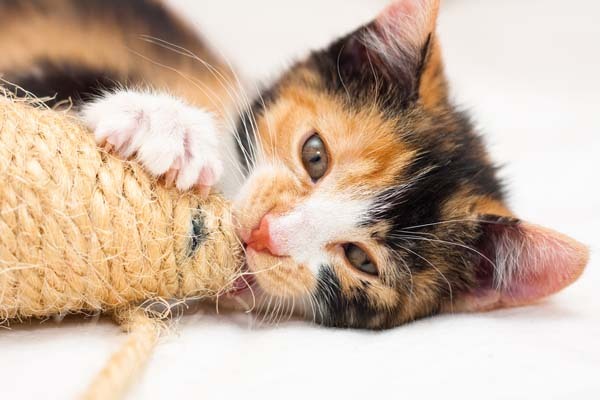 Part of the reason you got a cat was that it takes care of its own business just as you take of yours — sometimes you feel like two ships passing silently in the night, searching for food — and that means all business, even the business-business. Offloading clumps of waste while your cat stares at you from across the room is a level of intimacy neither of you are comfortable with. 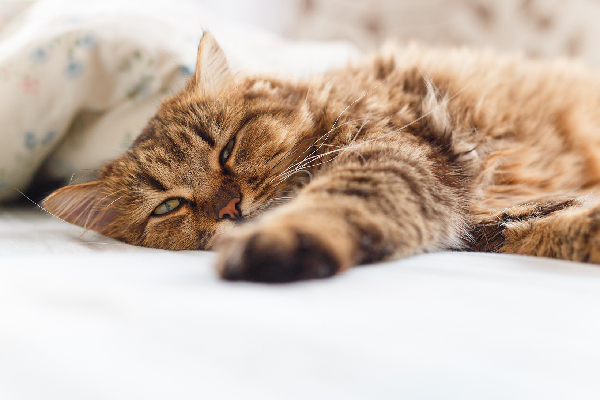 You believe your cat is a equal member of the family, no different than the firstborn and the bird, and thus he deserves to have his waste deposited into the central plumbing along with everybody else’s. Automatically. At extreme cost and periodic giggling — the CatGenie is a featured stop on the house tour when guests visit. Also: You are rich. Rich enough to focus solely on the CatGenie’s four-star reviews on Amazon and ignore, as of press time, the 65 one-star reviews for this miracle of engineering, which, dead seriously, takes water from your cold-water line and shoots the processed waste into your toilet via a second hose, which is draped attractively over the bowl. This is our flying car, America. If you’re concerned about the near-$300 price tag, just use the money from your cat college fund, because cats don’t go to college. Also, stop saving for cat college. Owning a cat doesn’t mean you have to give up your stylish life. Picture this scenario: Your friends are over, chatting about corkage fees for hours, and your cat Lou Reed slips into the cabinet and begins his customary preparatory rustling. “My dear Pi,” inquires your friend. “Is Lou Reed relieving himself inside the chinoiserie cabinet?” “Dearest Sultana!” you bray. “That is not merely a chinoiserie cabinet! That is Mr. Reed’s commode!” And you guffaw and everyone applauds and hear-hears Lou Reed when he emerges sheepishly from the faux-chinoiserie cabinet. This happens in New York all the time. Marc Jacobs has three of these, and he doesn’t even own a cat. 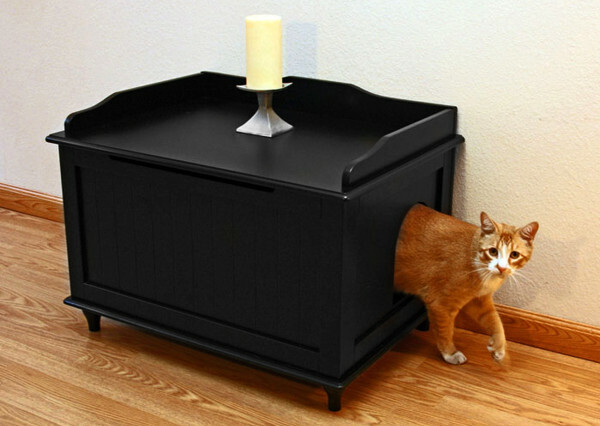 The designer cat-box means you are innovative and relevant and will not be held back by a having a child, er, cat. Also, sometimes you read Sky Mall.